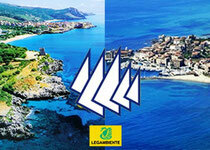 Would you like to spend an unforgettable holiday by the sea? 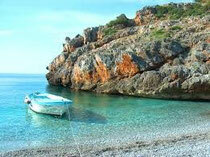 Come to Marina Di Camerota in the province of Salerno, only 6km from Palinuro”, the pearl of Cilento”. Marina di Camerota is a small picturesque town which still conserves in tact many of the alleys and streets of the old fisherman’s village. It has a beautiful sea front and a harbour with all the facilities for light crafts, but above all an outstanding varied coastline suited to all tastes, with seaside activities as well as fantastic beaches and sea beds to explore. The traditional, hospitable character of the inhabitants will help you enjoy yourself and relax. For children entertainment is guaranteed: a fair everyday, a puppet show every evening. 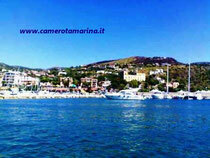 We offer holiday flats situated right in the centre of Marina Di Camerota: 150 metres from the beach, plus parking space. Our flats provide every comfort and cater for the most varied necessities. We will be able to satisfy your requirements besides assuring a warm welcome.